As of today, Alex & I have 226 days until we get married! I can't believe it and I'm getting a little impatient over here. I spend most of my days fantasizing about what our wedding will be like and how it will feel to look at his left hand and see a wedding band resting on his ring finger. I figured it was time to do a wedding update, because we've figured out a lot of the details. 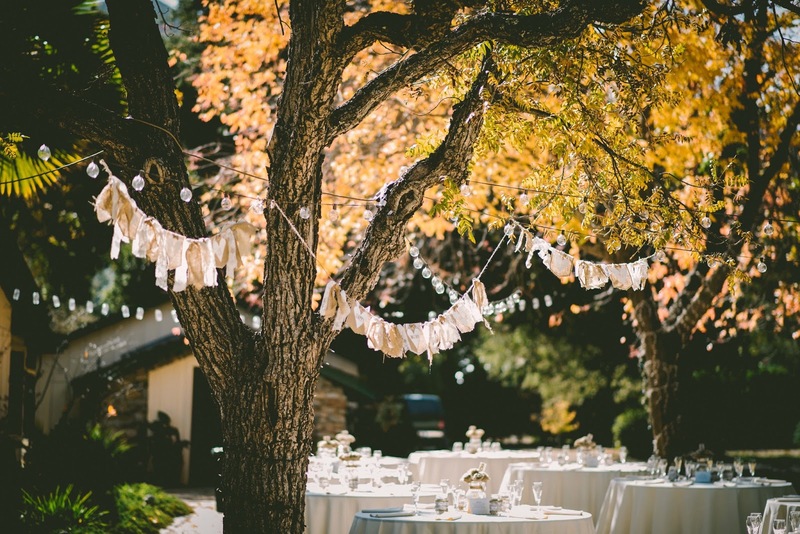 Venue: We found a stunning woodsy, enchanted forest style ranch (no western decor AT ALL, thank you!) an hour just outside of town. We're booked and ready to go! 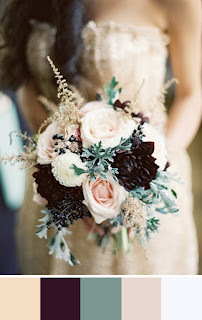 Colour Palette: Black and grey with hints of mint and maroon. Cake: A two tier naked cake, a sheet cake for guests. Cake Flavour: Traditional wedding cake flavour aka almond. Dinner: Italian! Manicotti, ravioli and lasagna. Decor Style: Whimsical, dark and moody, with a bohemian vibe thrown into the mix. Music: We're not having a DJ, we hate them. Instead, our friend Derrick will do an excellent job as our MC. A fun side note, Derrick was there the night Alex & I re-met. We're going to be using Spotify as our music source - Alex & I are working on the playlist. Officiant: Alex's "uncle" Tom. He's known Alex since he was a baby and he is very poetic. I honestly can't picture anyone else as our officiant. 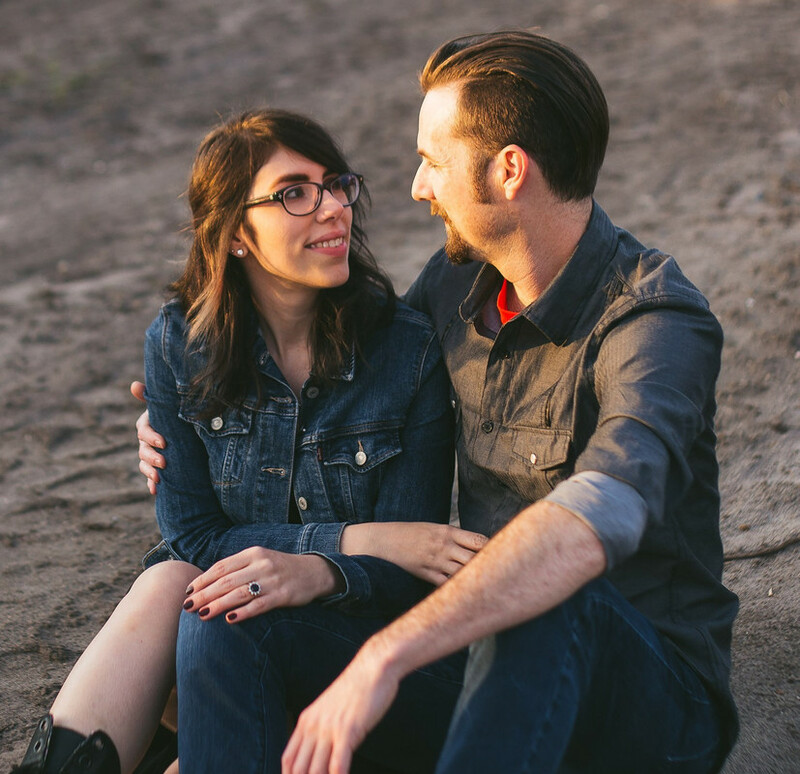 Photographer: My friend Laura, she also did our engagement photos. Alex & I have finished designing the invitations, the wedding website, our registry and we've started putting together the table centerpieces. As for the decor, the venue is so beautiful that I don't plan on decorating too much. I want to focus on letting nature shine through and only placing a few finishing touches on everything to really make it our own. A lot of the decorations are going to be made by hand and focus on natural elements. I found my wedding dress, actually I found it awhile ago, and I am IN LOVE with it. It's not traditional (at all) and I just know Alex is going to love it. I won't be posting anything in regards to what it looks like, because Alex reads my blog and I don't want to spoil it for him. Thankfully Megan is a pro at tailoring- what a bonus when your best friend is so crafty, huh? - and we should be starting on that soon. Hopefully as things continue I will remember to post more updates on here. Question of the day: Are you married? Do you have any wedding tips? If you're not married, what wedding style do you dream of doing one day? Small weddings are the way to go. Alex & I are having a small wedding as well. This place is probably my favorite place to organize an event; large enough to fit a good amount of guests and small enough that you really feel like you're having an intimate event. I would suggest these Los Angeles wedding venues for anyone.